2016 was an incredibly successful first year for the INSPIRE! Campaign, with many notable achievements to date. We wish to sincerely thank all of our generous supporters who make such a difference in the lives of UPEI students. The INSPIRE! Campaign has four key priority areas—Engineering, Experiential and Global Learning, Veterinary Medicine, and Athletics—that will expand programming, transform the student experience, showcase expertise, and build Panther pride! increase UPEI’s already significant social, cultural, and economic contributions to the province and the region. In 2016, UPEI had a total of 1,621 donors. 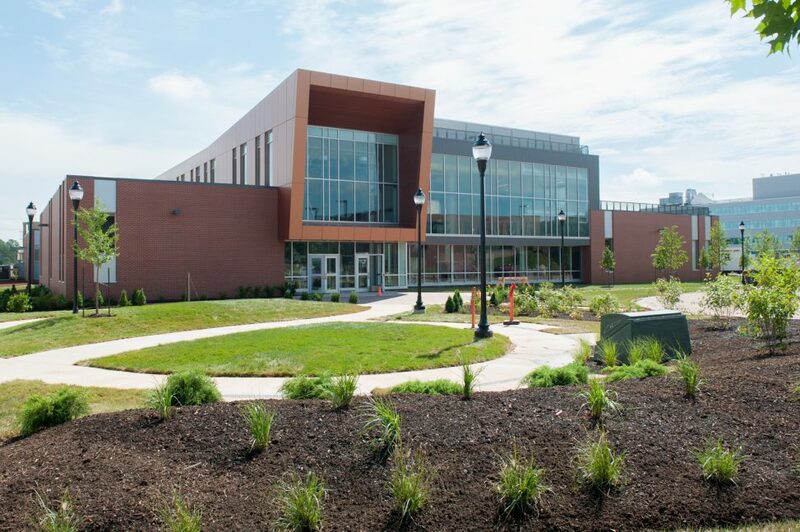 The UPEI School of Mathematical and Computational Sciences was created based on the growing need for university graduates to be educated in developing sophisticated mathematical and statistical techniques aligned with market needs, managing and extracting knowledge from unprecedented volumes of data, and integrating methods with powerful analytical software and technology tools. 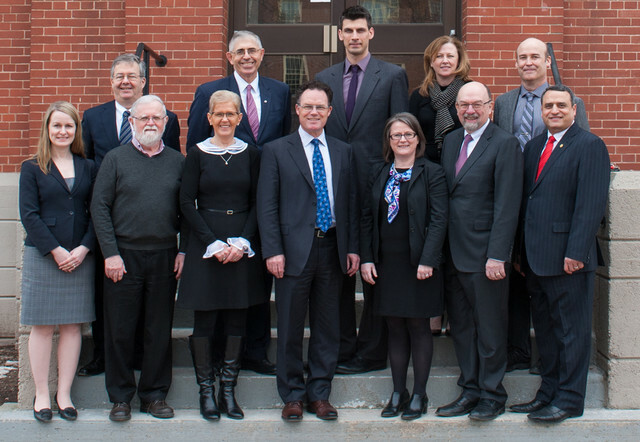 The UPEI School of Mathematical and Computational Science Advisory Committee. 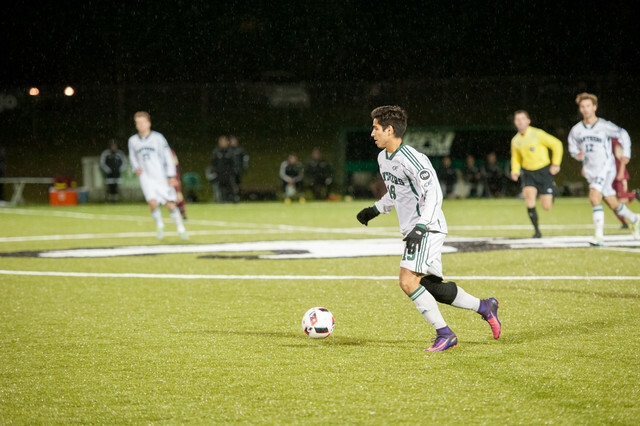 Student-athletes at UPEI enjoyed their varsity season at the Panther home field on a newly-replaced artificial turf field. 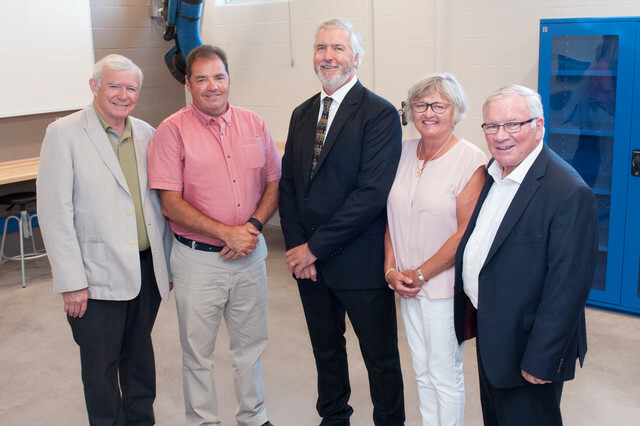 In addition to being home to the UPEI Panther field hockey and men’s and women’s soccer programs, Island community groups and residents will regularly enjoy the use of the new turf. 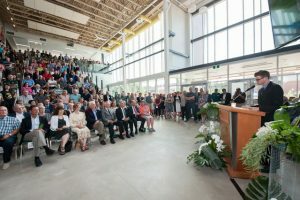 UPEI’s new 76,000 square-foot, state-of-the-art School of Sustainable Design Engineering officially opened its doors on August 4, 2016 and is devoted to developing engineers with exceptional design skills combined with a global perspective—engineers who are ready to meet the challenges of today’s world. More than a dozen new faculty members have been hired for the School—unique in the post-secondary education landscape of today—and together they represent a wide array of engineering expertise that will support industry centres of excellence. Students in the BSc in Sustainable Design Engineering program will have three areas of focus from which to choose: mechatronics, bio resources, and sustainable energy. The inaugural class of the UPEI School of Sustainable Design Engineering graduated in May 2017. Andrew Simmons, member of the first graduating class of the UPEI School of Sustainable Design addresses the crowd at the official opening. UPEI Chair of the Board of Governors, Pat Sinnott, PEI Premier, Hon. Wade MacLauchlan, UPEI President, Alaa Abd-El-Aziz, and Minister of Agriculture and Agri-Food Canada, Hon. 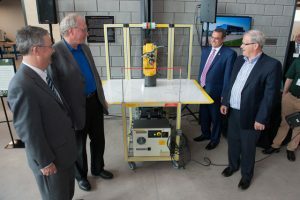 Lawrence MacAulay look on as a robotic arm cuts the official ribbon at the opening of the UPEI SSDE. 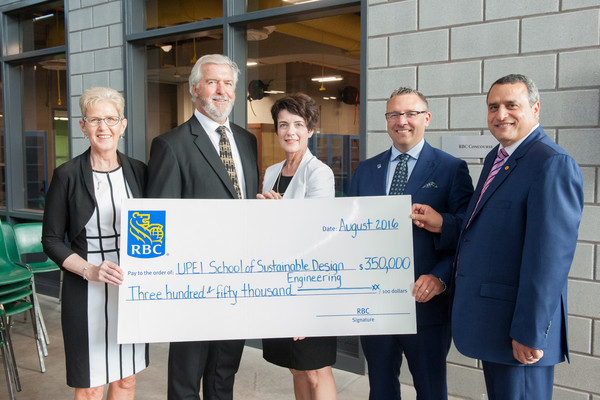 At the opening of the new School of Sustainable Design Engineering building, UPEI was proud to dedicate one of the building’s main thoroughfares as the “RBC Concourse” named in honour of ​RBC’s generous donation to the INSPIRE! Campaign. Myrtle Jenkins-Smith, Gordon MacKay, and Alaa-Abd-El-Aziz with RBC’s Mary MacInnis and Kirk Muise in the RBC Concourse at the UPEI SSDE. AVC’s first annual Client Appreciation Reception, held in November, was a resounding success! About 85 clients of the College’s Veterinary Teaching Hospital (VTH) attended as well as AVC faculty, staff, and students. 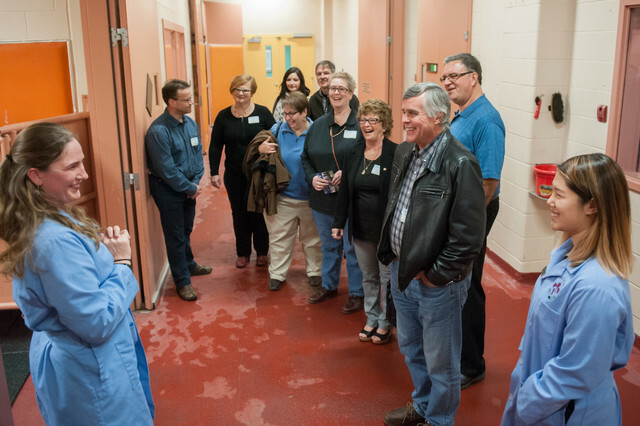 The clients enjoyed “behind the scenes” tours of the VTH provided by veterinary students, meeting each other, and chatting with clinicians, staff, and students. Clients of the Atlantic Veterinary College receive a private tour with AVC students during the inaugural AVC Client Appreciation reception. Two major renovations were announced in 2016 to take place in the Chi Wan Young Sports Centre. First, a new two-storey, 230 square-metre activity training centre was created out of existing space in the racquetball court area. The lower floor will be used for general fitness classes, while an upper-level training area features stationary bicycles and interval training. 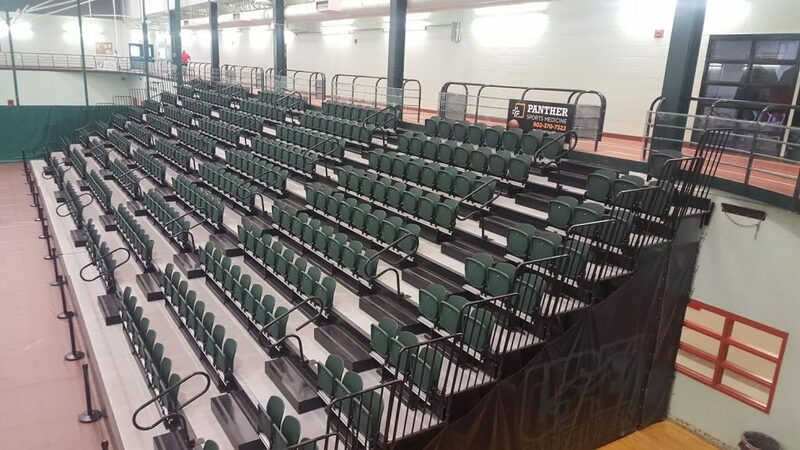 Second, the ageing wooden bleachers in the gymnasium were replaced with new electronically-operated telescopic bleachers, providing safer and more comfortable seating for audiences. 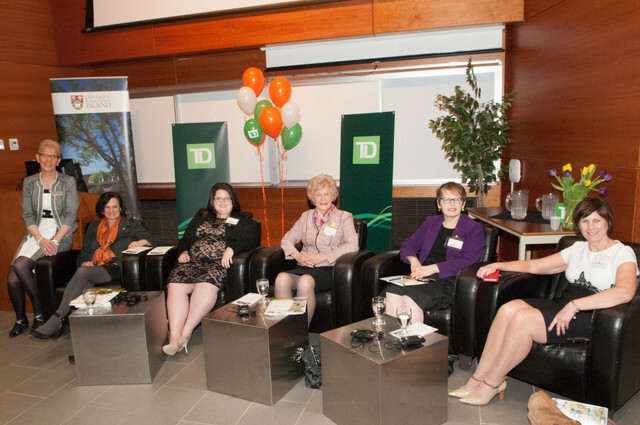 132 Island women attended the panel discussion on “Women & Philanthropy” hosted by UPEI and TD Wealth Private Client Group. TD presented its findings of a report entitled “Time, Treasure, Talent: Canadian Women and Philanthropy”, followed by reflections from the perspective of a unique group of female philanthropic leaders in our community. As a part of the event, TD gave a donation supporting mental health initiatives at UPEI. A portion of the donation brought in Dexter Nyuurnibe, Bell Let’s Talk spokesperson and former TedX speaker. Myrtle Jenkins-Smith with “Women and Philanthropy” panellists (fr left) Jo-Anne Ryan, Alicia Bremner, Catherine Callbeck, Shauna Sullivan Curley, and Kathy O’Rourke. We continue to be inspired by our supporters! 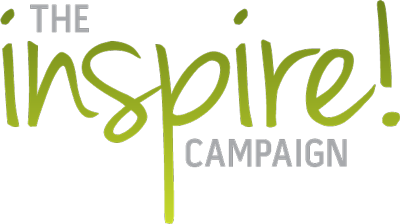 Watch for upcoming ads in The Guardian highlighting more INSPIRE! Campaign news, running every third Saturday in 2017.